50mm ratchet tie downs for the big load. 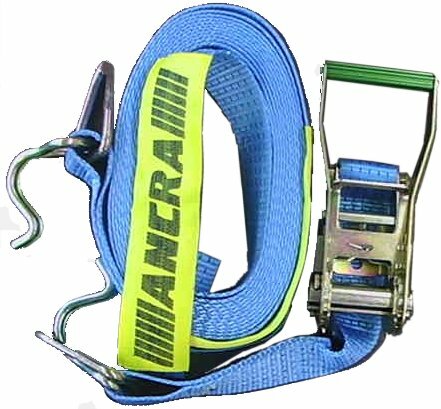 This is a good heavy duty strength strap; very practical. This strap is made from quality webbing and ratchet. Very strong nine metre strap capable of holding two tonne load. Easy to use with hook and keeper both ends. 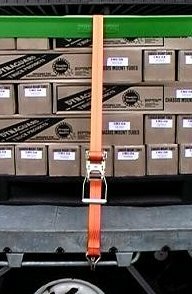 Used with our load protection angle the pallet pal to tie down boxes.